for. My house is small 1100 sq. ft. and so wanted to add some charm. conservative in my spending and feel his prices are reasonable. Thank you to Jim and crew, I love, love, love my new home! We had Jim do 2 projects a bathroom remodel and hang some closet doors. him to come back and do. We highly recommend Jim! trust worthy that I just have my tenants call him direct with repairs. budget and sooner than promised. I've got nothing but good things to say about Jim Huth, his company, or his team. un-permitted work had previously been done in my apartment and it was illegal and inhabitable. Jim's crew demolished the illegal work and started from scratch, with permits, inspections, etc ... and did the job "right". I gave dangerous "lemons" to Jim Huth Construction ... and they gave me back, good/safe lemonade! If i could award more than 5 Yelp stars to Jim Huth Construction, i would. What I look for in most everything, is 'good value' ... it's way more than price (although Jim's prices are more than fair). i measure "good value" by assessing every step of a process/transaction, from initial contact ... to writing a Yelp review! A big component of of overall 'value' is less tangible--but it's captured in Jim Huth Construction's motto: "Quality and Integrity without Compromise". That pretty much sums-it-up, along with: friendly, honest and trustworthy -- all very important (at least to me). My experience with Jim's company, has been that it delivers 'great value", i.e., they exceeded my expectations. Not only in the process and finished-product; but also, via Jim's relaxed but 'can-do' attitude and his team's will-do performance/execution. 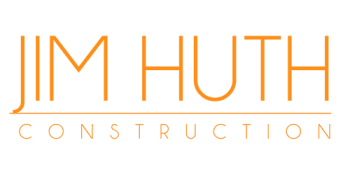 i highly recommend Jim Huth Construction's services to anyone who needs a top-notch contractor with good character. Jim says what he'll do, and he does what he says ... on-time and on budget.